New publications (I have been a bit slow at reporting the new ones). Plant Pathogen Resistance Biotechnology, 109 2016. 3. What Have We Learned About Synthetic Promoter Construction? Characterization of 40 soybean (Glycine max) promoters, isolated from across 5 thematic gene groups. Gunadi A, Rushton PJ, McHale LK, Gutek AH, Finer JJ (Accepted) Plant Cell Tissue and Organ Culture:: Journal of Plant Biotechnology. Third publication this year and we aren’t into March yet – all the hard work that we did over the last few years is now reaching the general scientific community. This is the latest. Congratulations to Jeff Shen and his very productive group. The following was accepted today and is the second publication of the 2016. Watanabe, K., Ma, K., Homayouni, A., Rushton, P.J., and Shen, Q. J. Our BMC genomics paper has now been published. Number one for the year and there should be quite a few more. This one has taken a while but could be one of our most significant contributions – a good start to 2016! But for the Christmas holidays, this would have been number 12 for 2015 but now it is the first of several in 2016. The Frontiers paper has now been officially accepted. We have 29 days to publish one more to make it one per month in 2015…watch this space! Some big news that I couldn’t talk about before yesterday. The following press release was issued on 8th October 2015. CLARENCE, N.Y.–(BUSINESS WIRE)–22nd Century Group, Inc. (NYSE MKT: XXII), a leader in tobacco harm reduction, announced today the appointment of Paul J. Rushton, Ph.D. as the Company’s Vice President of Plant Biotechnology. Dr. Rushton is uniquely qualified to grow and commercialize the Company’s impressive patent portfolio relating to both tobacco and cannabis. He has extensive experience in tobacco biotechnology, including work at the University of Virginia on 22nd Century sponsored research projects, as well as nearly a decade working at the world-renowned Max Planck Institute for Plant Breeding in Germany. Dr. Rushton has published over fifty scientific articles in the United States and abroad. He serves on the editorial boards of a number of scientific journals. While at the Max Planck Institute, Dr. Rushton provided the first evidence that WRKY transcription factors play crucial roles in plants’ responses to stress. Dr. Rushton’s research resulted in him personally defining and naming the important WRKY family of plant transcription factors. While at the University of Virginia, Dr. Rushton designed and published the tobacco transcription factors database (TOBFAC). This database is possibly the largest collection of transcription factor sequences (genes which turn on or off particular plant responses) from a single tobacco species (over 2,500 genes) and is the world’s most extensive database for tobacco genomic research. http://compsysbio.achs.virginia.edu/tobfac/ Dr. Rushton is also co-inventor of several patents related to nicotine production in tobacco. Dr. Rushton was part of the team of scientists lead by Michael P. Timko, Ph.D, at the University of Virginia who worked on sponsored tobacco research projects for the Company. Thus, Dr. Rushton already has very strong and important experience in working with 22nd Century’s unique tobacco technology. The result of a SUN Grant with Jai Rohila, Gautam Sarath and others. 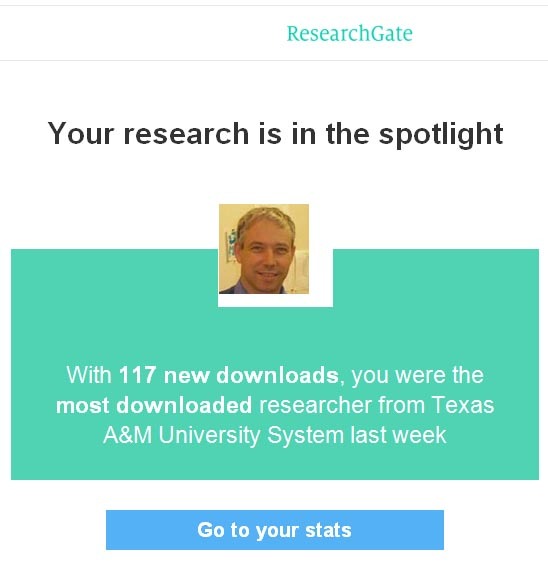 According to ResearchGate, we are the top downloaded group in the Texas A&M System for the past week. So, this is the ninth publication in under seven months and a little different this time. I have co-written an editorial for BMC Genomics about data sharing which is an important and ever changing topic. We have just secured two new sources of funding – more details when I am allowed to talk about them…. Submitted on Tuesday, accepted on Sunday. I like these data set papers. They are coming thick and fast at the moment! Our collaboration with Jeff Shen at UNLV has been wonderful for many years and our latest manuscript “Three WRKY transcription factors additively repress abscisic acid and gibberellin signaling in aleurone cells” by Liyuan Zhang, Lingkun Gu, Patricia Ringler, Stanley Smith, Paul J. Rushton, and Qingxi J. Shen. has now been accepted in Plant Science. 2015 looks like being a bumper year for publications as we have three more in review and four others in advanced preparation. Well done everyone! Our latest paper on “Tobacco Drought Stress Responses Reveal New Targets for Solanaceae Crop Improvement ” has been editorially accepted in BMC Genomics. It has some really big data sets and exciting observations, so well done to everyone involved. I will post it on Research Gate as soon as it is formally accepted. We think that a number of the GmWRKY53 interactions will turn about to be important parts of the signaling pathways in biotic/abiotic stress and that the interaction with the LATE ELONGATED HYPOCOTYL clock protein GmLCL2 (MYB114) suggests a direct input from the clock on GmWRKY53 activity. Our new article on”The Evolution of WRKY transcription factors” has been published in BMC Plant Biology. Browse top mentioned, highly cited, and most downloaded articles from our plant science journals: The PlantStars! We have joined the SoyKBase program which officially launched on January 1st 2015. SoyKBase is a Soybean/Legume Knowledge Base which is a collaboration with the Chinese Academy of Agriculture Sciences and a company owned by Dr. Jeff Chen. Dr. Jeff Chen is coordinating this effort and his company has considerable sequencing and bioinformatic resources. Prof. Mike Timko at The University of Virginia is also part of this project, together with a number of Chinese scientists. We are please that the journal OMICS has chosen to highlight our work on drought.